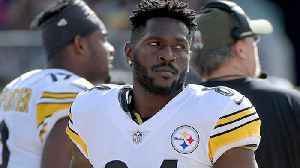 Raiders to Acquire Steelers Star WR Antonio Brown Pittsburgh will get a third and fifth round pick in the upcoming NFL Draft. Following news of the deal, Brown released a picture of himself in a Raiders uniform. Brown has led the NFL in touchdown catches and receiving yards since 2010. 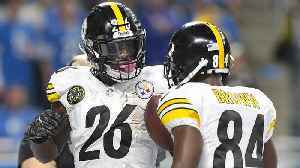 The seven-time Pro Bowler's final season in Pittsburgh was tumultuous due to highly-publicized feuds with QB Ben Roethlisberger and head coach Mike Tomlin. 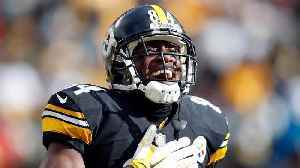 Brown was benched for the team's season finale, a game Pittsburgh needed to win to make the playoffs. 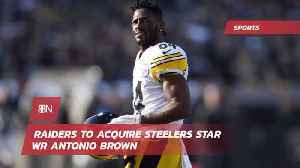 The Steelers ended up losing, leading Brown to demand a trade soon afterwards. 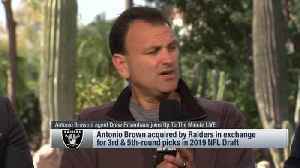 Oakland Raiders wide receiver Antonio Brown's agent Drew Rosenhaus discusses A.B. 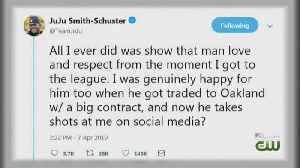 's involvement in his trade from the Pittsburgh Steelers to the Raiders. 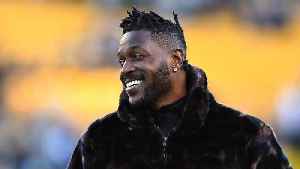 Will Raiders WR Antonio Brown Be Able to Coexist With HC Jon Gruden? 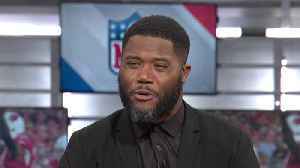 After trading for WR Antonio Brown, the Raiders have become one of the intriguing teams in the NFL. But will the star wideout be able to mesh with head coach Jon Gruden?